It took the organising committee months of preparation and 5 full days of labour work, but it was all worth it as Australia’s biggest ever Table Football Tournament was staged successfully last weekend in Melbourne. 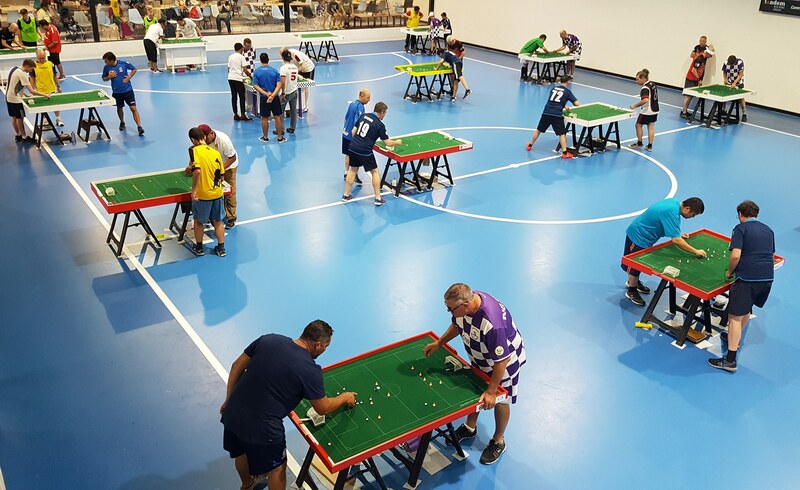 The 2018 Asian Cup of Table Football was the 4th edition of the region’s premier tournament where players from the CASTFA (Confederation of Asian Sports Table Football Associations) nations descended on Melbourne to be crowned Asia’s best player, club and nation respectively. 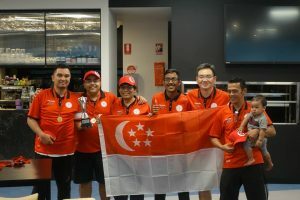 First held in 2015, the tournament has since travelled to Singapore in 2016 and Japan in 2017, but returned to Melbourne this year with the added benefit of being classified as a FISTF ‘continental championship’. This meant the tournament was only available to players who are members of CASTFA nations and allowed for a true ‘Asian Cup’ to be played. 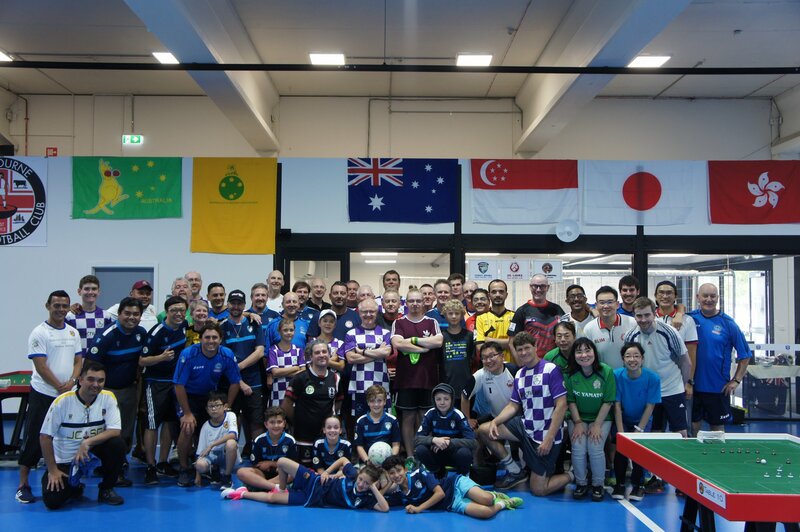 Warm ups and player meet and greet commenced on Wednesday the 17th of January at our venue – Lakeside Futsal, home to South Melbourne Football Club which is inside their footballing venue, Lakeside Stadium in Albert Park. Antonio Carabillo and Herman Kruse from Sydney, with son Oliver arrived on the night to have warm up games and had the added benefit of being able to check out the soccer stadium which was hosting a pre-season friendly that night. 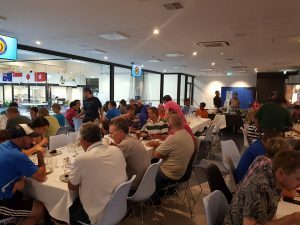 Thursday the 18th saw a WASPA tournament as a warm up session to the weekend. The tournament was held in the Swiss format with Open and Junior categories. There was a great turnout of eager players, with 18 in the Open and 6 juniors. Four rounds were played in each competition, with two later arrivals joining in after round one of the Open category. 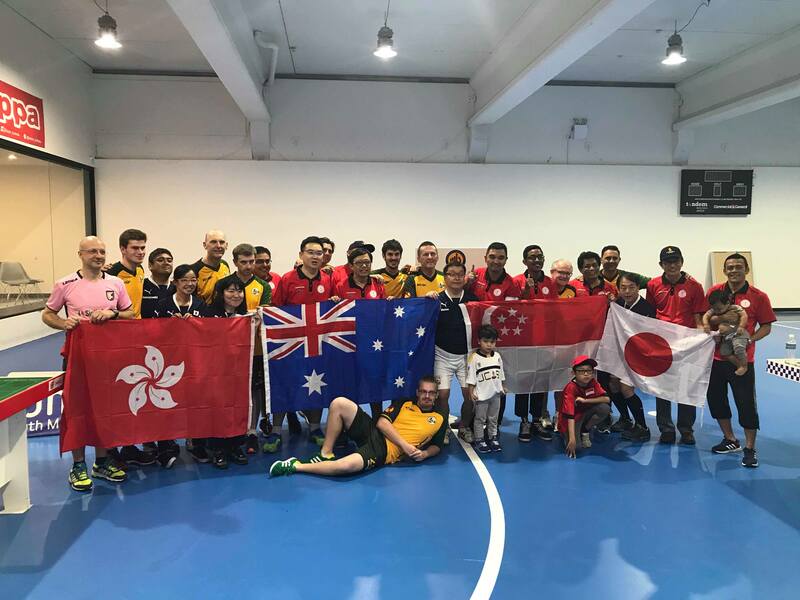 From the offset the large contingent of travelling players from overseas and interstate impressed the locals, dominating the top half of the table. 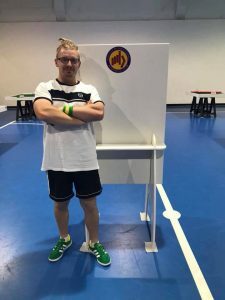 However, in somewhat of an upset it was Melbourne’s own Luke Radziminski who took out the event after a series of impressive results. The next seven spots were somewhat more predictable, with all spots taken up by players seeded for Saturday’s Open event based on their FISTF world rankings. In the junior category it was Oliver Ollnow who came out on top of proceedings. He was the only player undefeated, and finished with an impressive 10 goals from his 4 games to build his confidence going into the weekend. Torban Pfister took out second place on goal difference from Gabriel Lombardi. The Wright siblings, Billy and Charlotte were close behind with young Taylor Lombardi having some fun too making up the field. 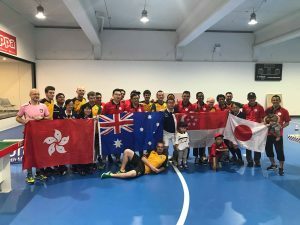 Friday the 19th saw the bulk of the players arrive at the venue to play friendly matches before everyone enjoyed the opening ceremony and tournament draw at the 1959 Bar and Grill. Saturday the 20th of January commenced at 8:30am with group games of both the Open Category and Juniors, followed by the women’s category. 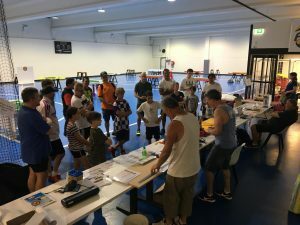 It was a test of mental strength and fatigue management as the whole Saturday tournament was scheduled to finish just after 6pm. 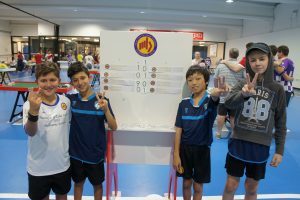 The group games (of 4 players in each) were constructed for the top 2 to go through and the bottom two to qualify for a straight knockout WASPA tournament as consolation. The first half of the qualified players go straight into the round of 16, while the second half, due to the uneven amount of player entry, were qualified into the barrage rounds in order to reach the last 16. The U19 Category had an impressive 16 entrants and it was Oliver Ollnow of the Northern Falcons who took the win, defeating Alex Briffa of the Western Flickers 4-0 in the Final. Kimi Wada of Japan won the ladies category title defeating Beth Eveleigh of the Northern Phoenix in the final via a penalty shootout after the game ended in a 0-0 draw. 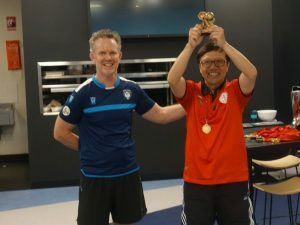 The consolation plate WASPA tournament for players eliminated in the group stage was won by Benny Ng who took a 3-1 win over Adrian Elmer in the final who flew from Parramatta. 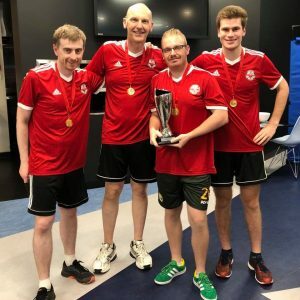 The tournament itself has set the bar for future events as the Melbourne committee were able to work with South Melbourne’s media team to live stream the finals from all categories and provide commentary and both days. 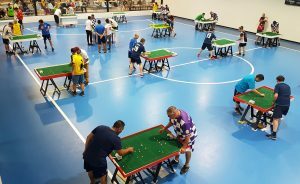 With table football being in such a small market it achieved to reach over 10,000 viewers in the Open Grand Final as they witnessed Carl Young of Melbourne take out the title with a score line 2-0 over Antonio Carabillo of Hong Kong. 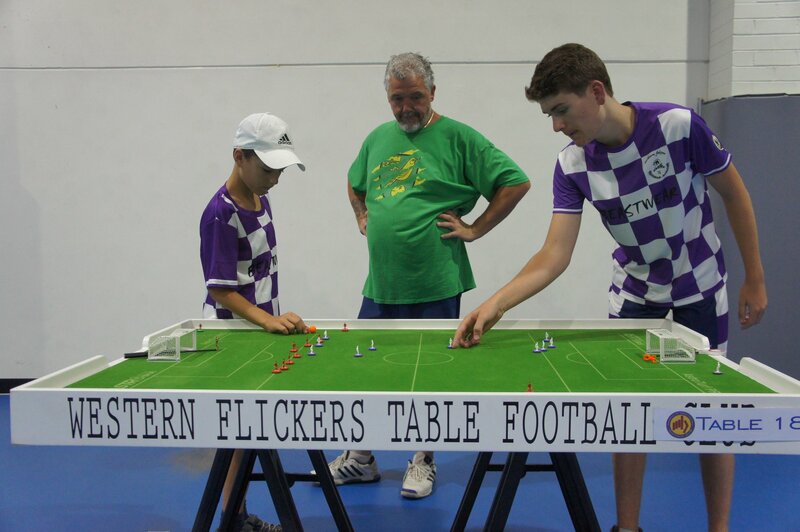 These live streams can be replayed on Subbuteo Australia’s Facebook page and can be found on Youtube as well. On the Sunday we were able to stage the first Junior teams competition to be played in Australia. Western Flickers TFC were the winners after securing a draw with the Northern Falcons thanks to a last minute goal from Harrison Briffa. 3 years ago, Melbourne TFC were defeated in the first ever Asian Cup Teams Final, but this time the boys in Red were able to take the title on home soil. The team event final saw Melbourne TFC go up against Sydney TFC in the final, a repeat from the first round in the group stages where MTFC won 3-1. The second time round, the fixtures between the four games were shuffled except for Carl Young v Daniel Lombard however this did not play out in Sydney’s advantage and after extremely tight games across three of the four games, MTFC came out the victors 3-0. 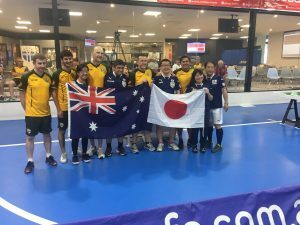 The main event of Sunday evening saw Australia play against Singapore in a title decider for the international Asian Cup fixture after both nations comfortably defeated Japan 4-0 each. The fatigue was evidently shown in all 8 players when it came down to their final match of the event as the games were very tightly played, some had rare opportunities at goal and others struggled to shoot on target. Anas Rahamat, Asian current number 1 player, took a shock lead over the more experienced Peter Thomas in the first half, and held on to the one goal margin until full time. 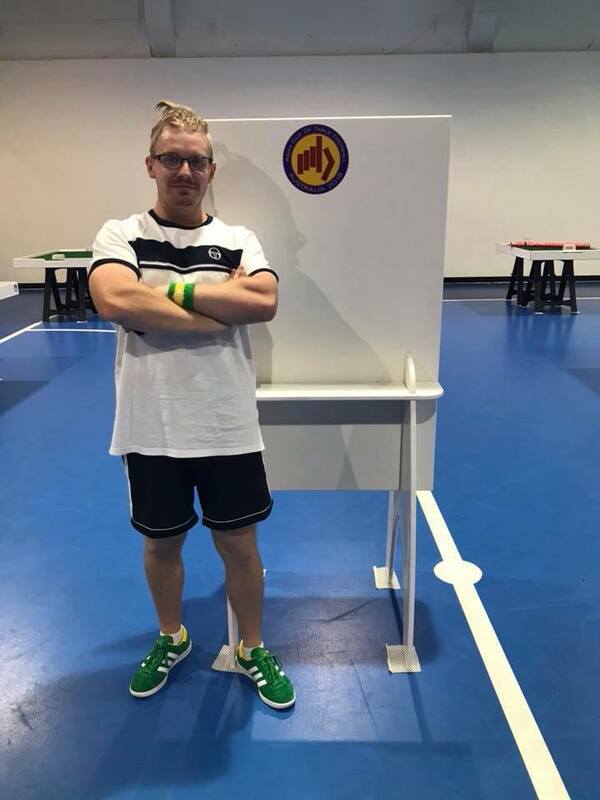 Robert Green of Australia managed to defeat Bernard Lim 2-1 and Rudy Hesty of Singapore managed to edge Raffaele Lombard 2-1 as well. In the fourth game Carl Young was leading 1-0 however Den Mulia managed to score ‘that goal’ as others have dubbed it, equalising late in the second half which ultimately swung in favour of Singapore and the overall score ended 2-1. 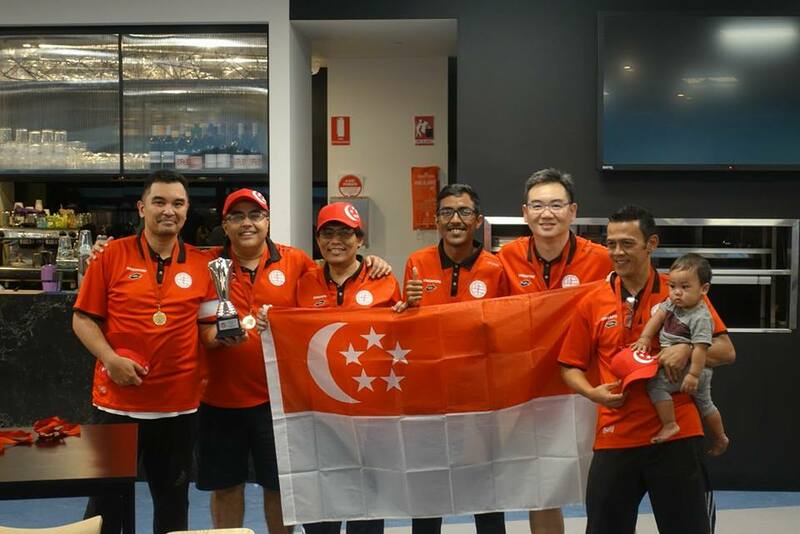 Singapore were crowned the champions of Asia for the fourth consecutive year. 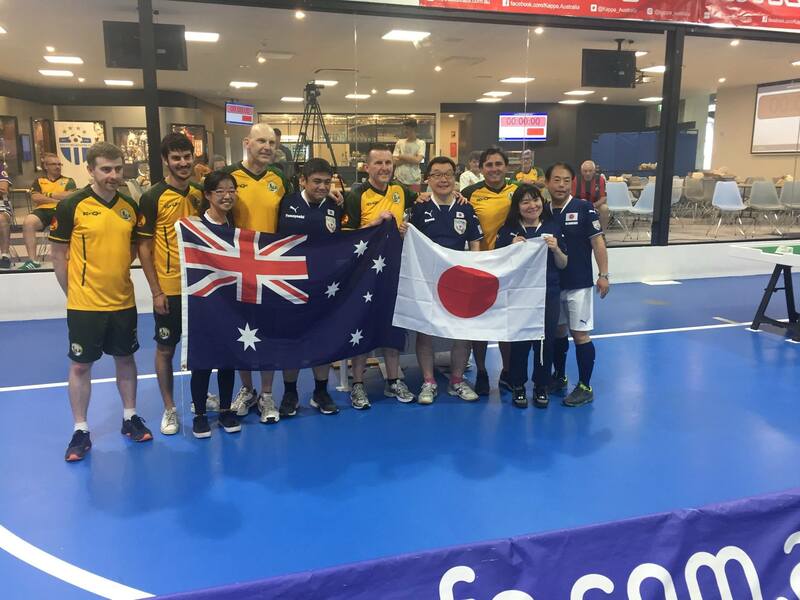 As the tournament had come to a close, I, Luke Radziminski, President of Melbourne Table Football Club, would like to extend my appreciation to all the players that have travelled the borders and to those who have come from Singapore and Japan. 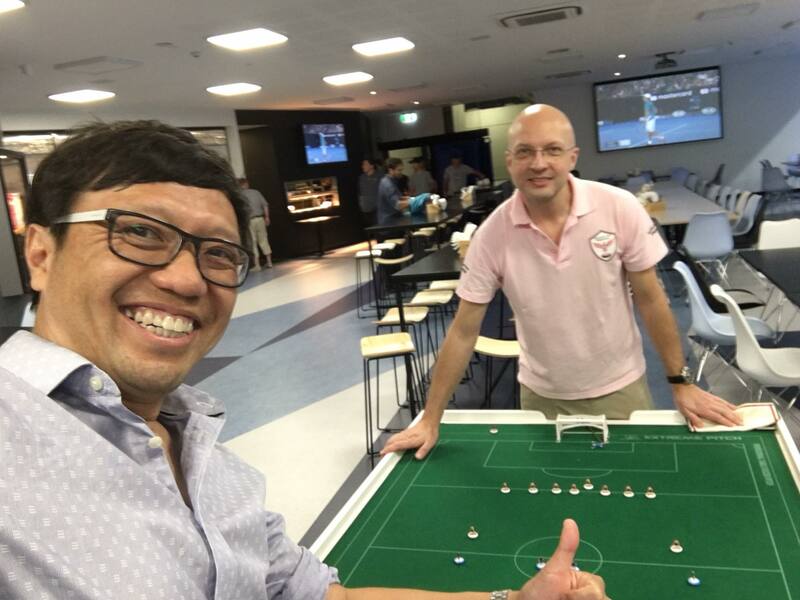 As we all know there is no prize money involved in this small game and we all have given up our weekends to participate purely for the experience of Subbuteo that is set to the highest standard and the comradery involved in this tight knit community. 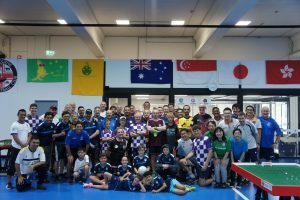 I would also like to thank the Victorian Table Football Organising Committee for their contributions to making such a special and memorable event: Adam Deverell, Adrian Connolly, Anthony Madiona, Arjuna Hanafi, Ben Batten, Benny Ng, Beth Eveleigh, Christos Garagounis, Paul Mercer, Simon Briffa, Steve Wright. In addition I would like to thank Skip and George from South Melbourne Football Club who allowed us to use their exceptional venue and provided exceptional support in staging this world class event. Special Mention goes to Kevin Grant who exercised his carpentry profession to an outstanding level of professionalism and commitment into providing high quality playing boards and polishing desks for all players to use at the tournament and the time, patience and sacrifice, alongside Arjuna, into transporting 20 Boards to and from the venue over the week. Melbourne TFC and Western Flickers TFC would like to thank all players who came to Melbourne for the tournament. 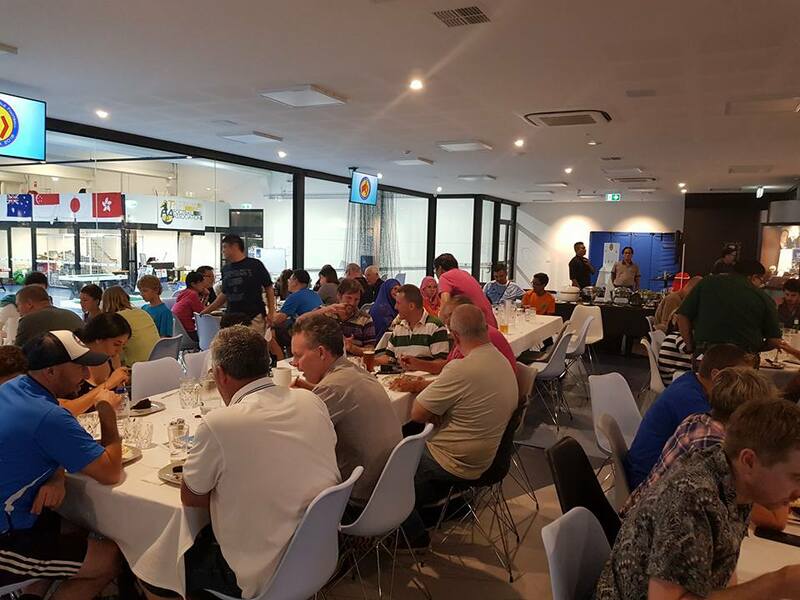 We look forward to seeing you all at the various events around Australia in 2018 and at the 2019 Asian Cup in Singapore. 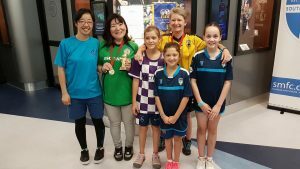 This entry was posted in News, Tournament reports on 28/01/2018 by Subbuteo Australia.